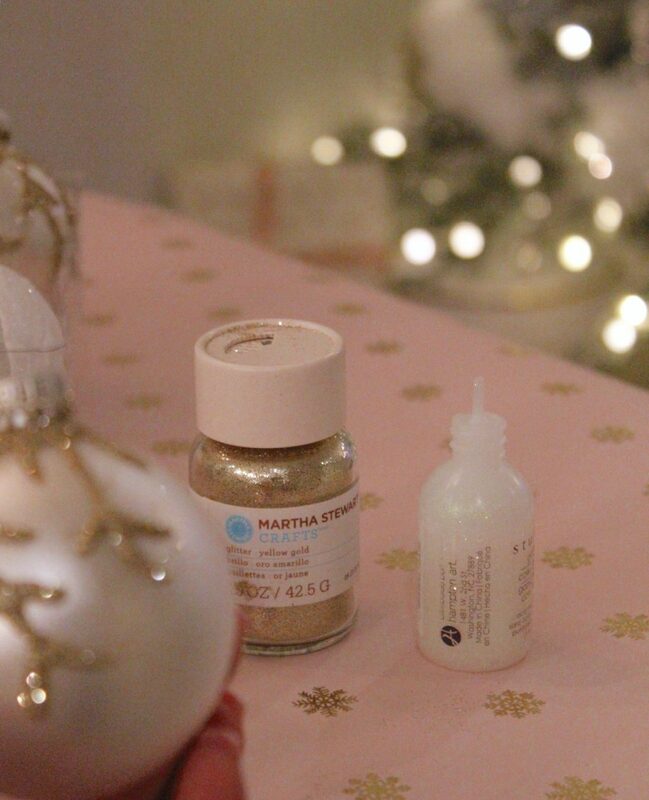 Today is going to be fun because I’m not only sharing with you my DIY glitter ornaments for one of my new trees, but a group of my friends are also joining me for another Seasonal Simplicity Christmas Series Blog Hop to share their DIY ornaments and Christmas crafts also. I’m so glad you are here today! I’m not revealing my second tree (in my living room) until next week but you’ll get a sneak peek today because the ornaments I made were for this particular tree. 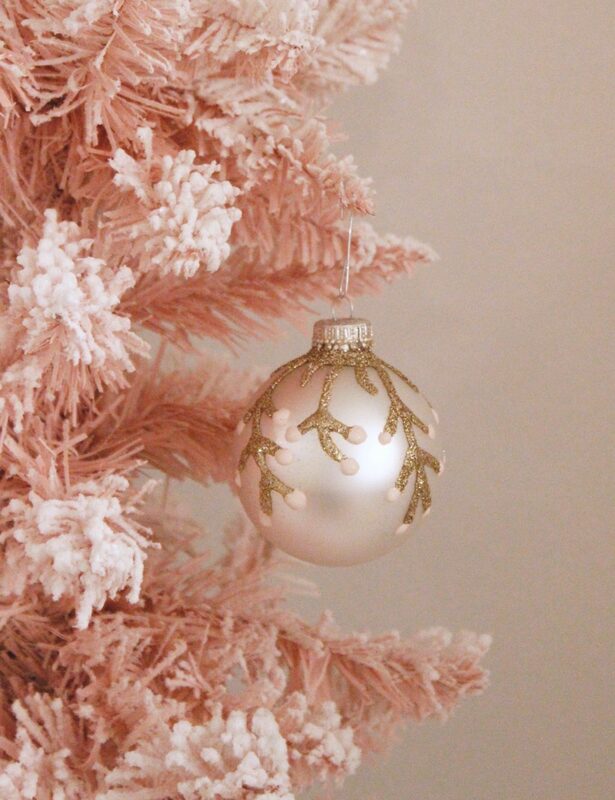 I wanted a flocked tree with a lot of white but also pops of dusty blue and a soft peachy-blush. While I was fortunate to find some Christmas poinsettia stems in those colors this year, I didn’t find any ornaments. 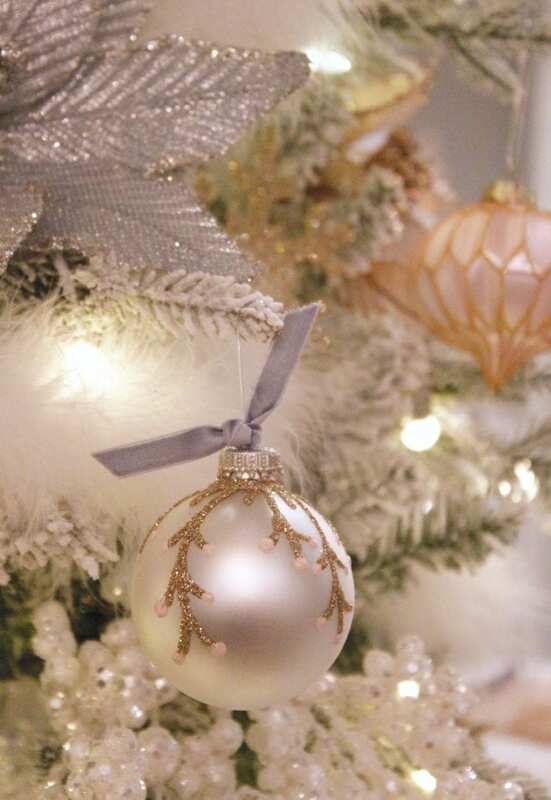 I wanted to combine those two colors and also a little gold too, as I have some gold snowflakes on the tree and a lot of brass and gold accents in this room. 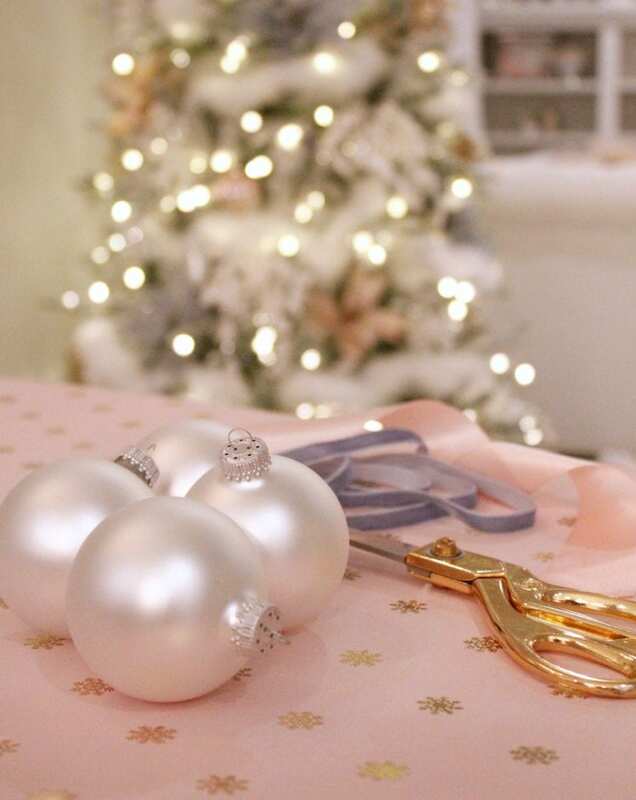 My daughter, Brooklyn, and I love to bake and craft together so she and I sat downstairs at the table one night and made some ornaments while Beckham, my son, decided to not make any but sit on the sofa and watch a Hallmark Christmas movie with us. It was fun! 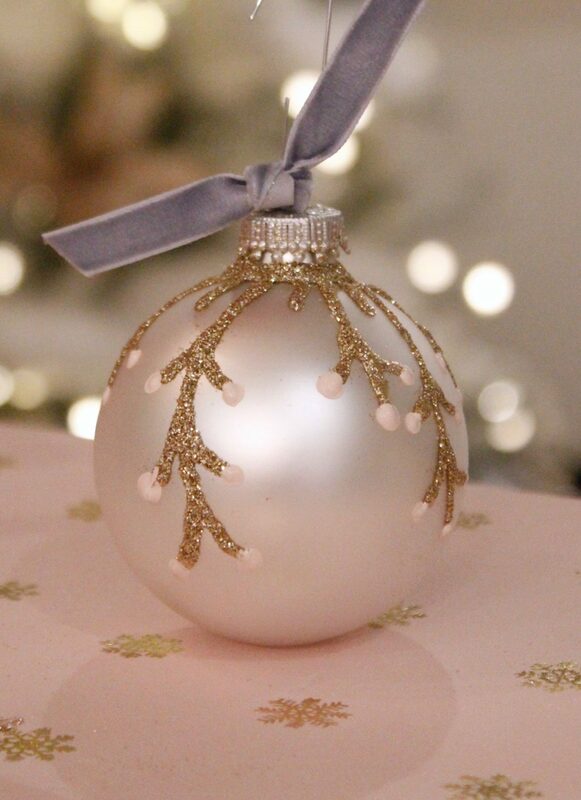 Ok, I found a box of pearlized ornaments for just a few dollars and I loved those and knew they’d be fun to glitter and paint on. I had left over blush interior paint from my last blush office makeover so I used that to paint some fun and different designs. Here’s this one “snow dripping” looks like one on my other tree (that I purchased). 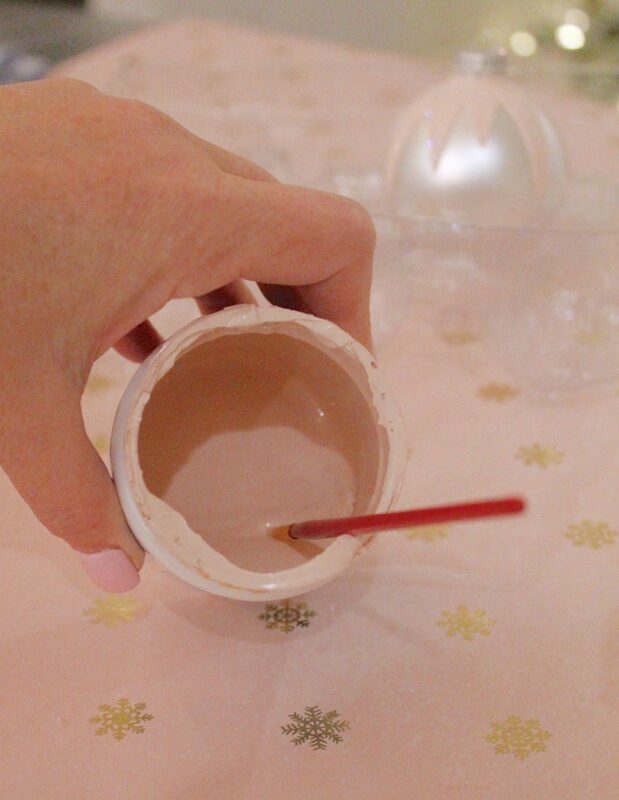 Of course, because I love sparkle, I grabbed my sparkly white fine craft glitter from my craft room to sprinkle on the painted designs immediately after painting each section. I did a mix of the pink and white in all different designs. I also had some glitter glue with a fine tip so that made this next little design much easier to do. 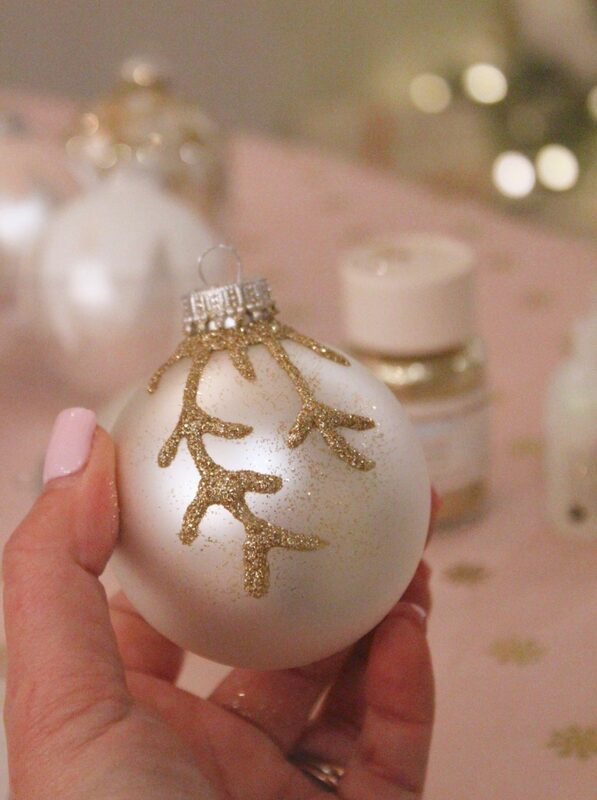 I drew on some little holly branches and sprinkles fine craft glitter in gold on them. I hung it on a small tree with no ornaments so that it would dry. 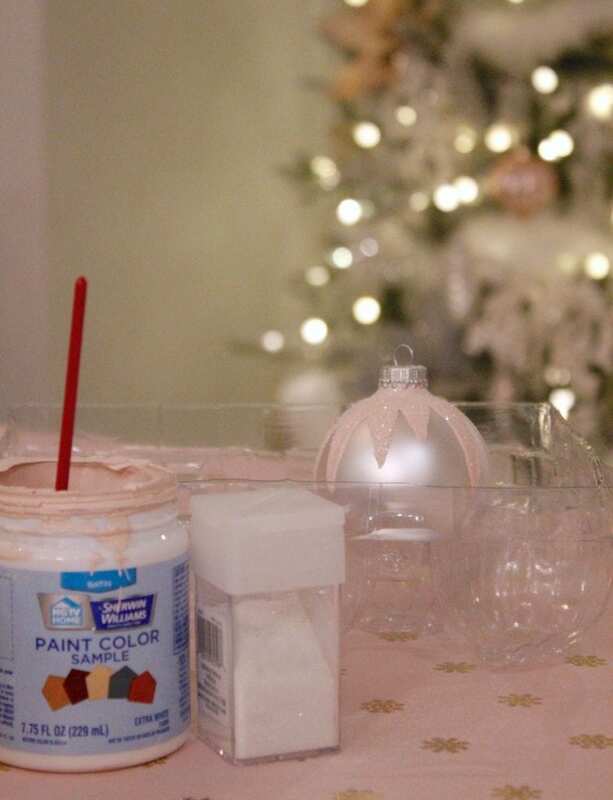 A half hour later, I used the end of the little paint brush to dip it in the blush paint and dot it on the “branches” and make the holly berries and then set it back on that other tree to dry for another hour. To add that dusty blue color, I grabbed some thin velvet ribbon and tied a little piece on each ornament and then hung it on my tree. Isn’t that cute?! 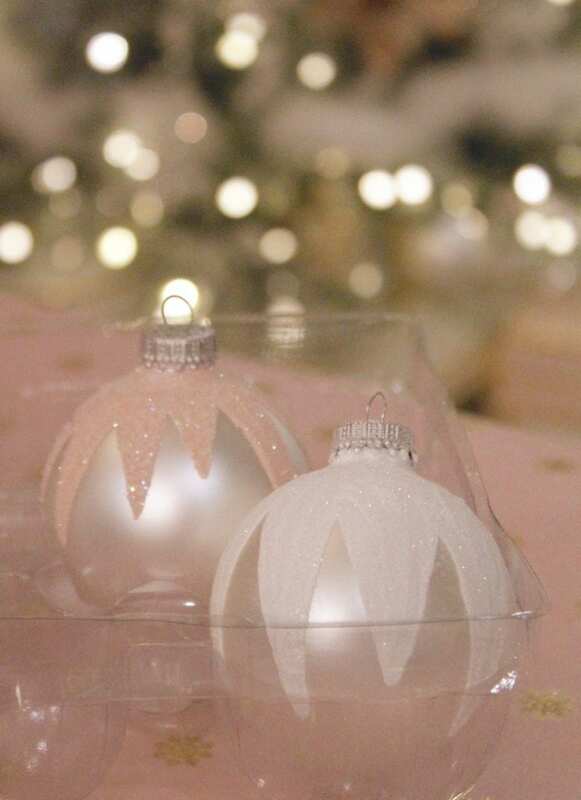 It was soooo easy and I had everything at home except for the ornaments. It just tied in my color scheme so nicely and brought it all together in the smallest and simplest way. Come back and check out the entire tree next week! 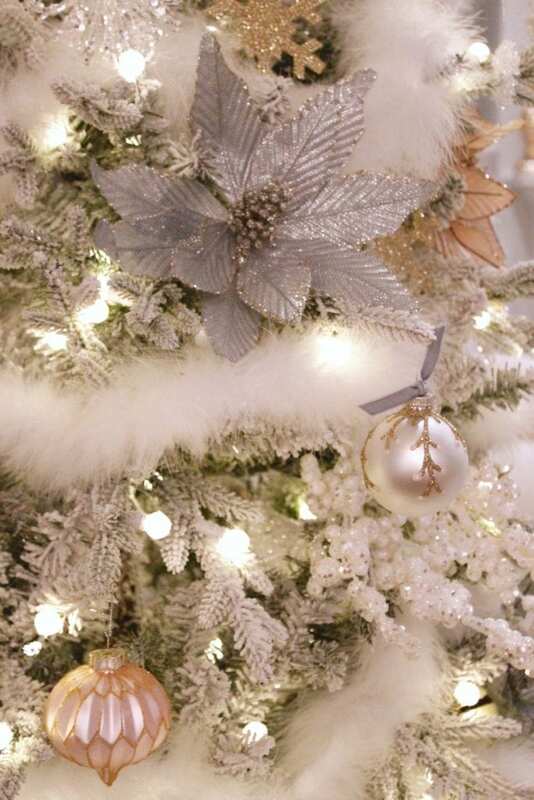 Please visit my friends and see their ornaments and crafts below! Thank you for sharing and being part of the blog hop. 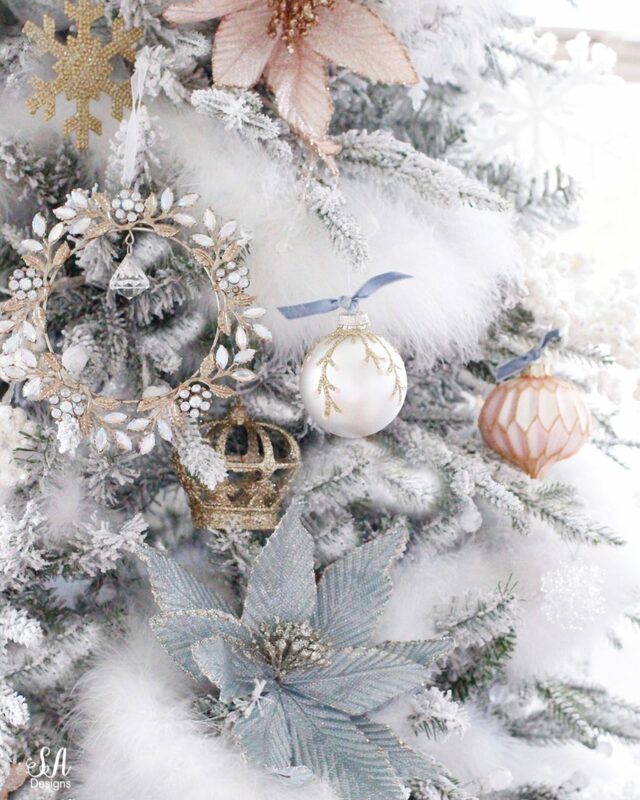 Those ornaments are stunning and love how they match. Can’t wait to see the full reveal.